Image: Chris Jackson - WPA Pool/Getty Images. Stop trying to make drama where there isn’t drama. That’s essentially the message of the day from Kensington Palace, which reportedly issued a rare statement refuting rumors of tension between Kate Middleton, Duchess of Cambridge, and Meghan Markle, Duchess of Sussex. While the Palace doesn’t typically react to baseless rumors, the duchesses’ reps reportedly felt compelled to respond when The Sun ran an article claiming that Middleton reprimanded Markle for berating the Palace team. Per the outlet, Markle and Middleton “fell out” when Markle yelled at some of Middleton’s staff. Rumors of a rift between the two duchesses have been floated since Markle and Prince Harry got engaged, but they’ve intensified since the couple’s May 19 wedding — reaching a fever pitch when it was revealed that Harry and Markle are moving away from Kensington Palace to reside instead at Frogmore Cottage, on the grounds of Windsor. Despite speculation that Middleton and Markle clash, though, The Daily Mail’s royal correspondent, Rebecca English, has cited sources who insisted Harry and Markle’s move has nothing to do with a family feud — and everything to do with the couple’s growing family. Unlike Prince William, who is second in line to the throne, Harry doesn’t have to keep a permanent base in the capital. And, according to English, the younger prince would prefer to raise his family in a slightly less glaring public spotlight. Unlike Kensington Palace, which includes many sections open to the public all year round, the main house at Windsor is only open to the public a few days of the year. In any case, pitting powerful women against each other seems a lot like a thinly veiled attempt to diminish their power. 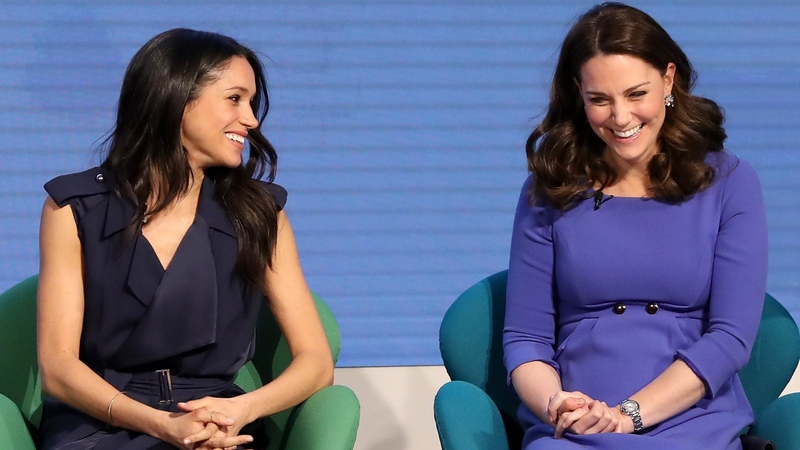 Unless we hear otherwise from Middleton and Markle — two women who consistently exhibit grace and class — we’ll continue to assume that these royals treat each other with mutual affection and respect.